A traditional, Japanese styled mountain house is very popular among the visitors. The owner uses his own unique designs to decorate this cozy, home-like environment, offering the visitors a special, comfortable atmosphere within the guest house. After entering from the old styled wooden door, you’ll be welcomed with a very catchy designed lounge followed by a fully equipped kitchen. Then you’ll be greeted by two separate doors which divides the guest rooms into two sections, the “Purple Yien Wu” and the “Orange Yien Wu”. 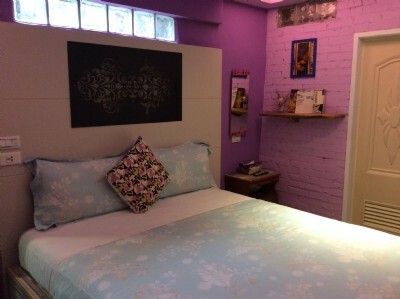 With TV, DVD system, and essential amenities provided in the lounge, visitors can certainly feel the coziness and home-like experience Jiufen A-Home Yien Wu Guesthouse offers for the ultimate Jiufen travel! TWD 600 for additional guest sharing existing bed. Charge to be paid upon check-in.